The bacterial transcription terminator, Rho, is a well conservedprotein among the prokaryotes. It has been discovered about 50 years back and still a significant number of the researchers across the globe are actively engaged in understanding the function of this protein. Rho is a hexameric RNA-dependent helicase that dislodges transcribing RNA polymerase. Its binding site on the RNA is quite degenerated, and thereby many mRNAs are its target, which leads to regulation of a wide range of operons by the Rho-dependent termination. This genome-wide control by Rho brings in pleotropic effects in the cell physiology, and hence many biological processes are directly affectedif this termination process is perturbed. In this review, we will cover various mechanistic aspects of the Rho-dependent transcription termination highlighting the significant contributions made by us over the last 12 years. The review includes the biochemistry and the structural analyses of the Rho, its mechanism of action and its regulation by other cellular factors. Artsimovitch I and Landick R (2000) Pausing by bacterial RNAP polymerase is mediated by mechanistically distinct classes of signal Proc. Natl. Acad. Sci. U.S.A 97: 7090–95. Banerjee S, Chalissery J, Bandey I and Sen R (2006) Rho-dependent transcription termination. More questions than answers J Microbiol 44:11-22. Belogurov G A, Mooney R A, Svetlov V, Landick R and Artsimovitch I (2009) Functional specialization of transcription elongation factors EMBO J 28:112–22. Bonin I, Muhlberger R, Bourenkov G P, Huber R, Bacher A, Richter G and Wahl M C (2004) Structural basis for the interaction of Escherichia coli NusA with protein N of phage lambda Proc. Natl. Acad. Sci. USA 101:13762–67. Borukhov S, Lee J and Laptenko O (2005) Bacterial transcription elongation factors: new insights into molecular mechanism of action Molecular Microbiology 55:1315–24. Bubunenko M, Baker T and Court D L (2007) Essentiality of ribosomal and transcription antitermination proteins analyzed by systematic gene replacement in Escherichia coliJ Bacteriol 189:2844–53. Burmann B M, Schweimer K, Luo , Wahl M C, Stitt B L, Gottesman M E andRösch P (2010) A NusE:NusG complex links transcription and translation Science 328:501–4. Burns C M, Lislott V R and Richardson J P (1998) Combinatorial effects of NusA and NusG on transcription elongation and Rho-dependent termination in Escherichia coli J Mol Biol 278:307–16. Burns C M, Nowatzke W L and John P R (1999) Activation of rho-dependent transcription termination by NusG J Biolchem 274:5245–51. Cardinale C J, Washburn R S, Tadigotla V R, Lewis M B, Gottesman M E and Nudler E (2008) Termination factor Rho and its cofactors NusA and NusG silence foreign DNA in E. coli Science 320:935–38. Chalissery J, Banerjee S, Bandey I and Sen R (2007) Transcription termination defective mutants of Rho: role of different functions of Rho in releasing RNA from the elongation complex J Mol Biol 371:855–72. Chalissery J, Muteeb G, Kalarickal N C, Shalini M, Jisha V and Sen R (2011) Interaction surface of the transcription terminator Rho required to form a complex with the C-terminal domain of the antiterminator NusG J Mol Biol 405:49–64. Ciampi M S (2006) Rho-dependent terminators and transcription termination Microbiology152:2515–28. Dutta D, Chalissery J and Sen R (2008) Transcription termination factor Rho prefers catalytically active elongation complexes for releasing RNA J Biol Chem 283:20243–51. Epshtein V, Dutta D, Wade J and Nudler E (2010) An allosteric mechanism of Rho-dependent transcription termination Nature 463:245–49. Geiselmann J, Seifried S E, Yager T D, Liang C and von Hippel P H (1992) Physical properties of the Escherichia coli transcription termination factor Rho quaternary structure of the Rho hexamer Biochemistry 31:121–32. Gibson T J, Thompson J D and Heringa J (1993) The KH domain occurs in a diverse set of RNA-binding proteins that include the antiterminator NusA and is probably involved in binding to nucleic acid FEBS Letters 324:361–66. Gocheva V, Gall Le Antoine, Marc Boudvillain, Emmanuel Margeat and Marcelo Nollmann (2015) Direct observation of the translocation mechanism of transcription termination factor Rho Nucleic Acids Res 43:2367-77. Gogol E P, Seifried S E and von Hippel P H (1991) Structure and assembly of the Escherichia coli transcription termination factor rho and its interaction with RNA. I. Cryoelectron microscopic studies J Mol Biol 221:1127–38. Gusarov I and Evgeny N (1999) The mechanism of intrinsic transcription termination Mol Cell 3:495–504. Hollands K, Proshkin S, Sklyarova S, Epshtein V, Mironov A, Evgeny N andGroisman E A (2012) Riboswitch control of Rho dependent transcription termination Proc. Natl. Acad. Sci. U.S.A 109:5376–81. Hollands K, Sevostiyanova and Groisman EA (2014) Unusually long-lived pause required for regulation of a Rho-dependent transcription terminator Proc. Natl. Acad. Sci. U.S.A 111:E1999–2007. Jin D J and Gross C A (1988) Mapping and sequencing of mutations in the Escherichia coli rpoB gene that lead to rifampicin resistance J Mol Biol. 202:45–58. Jin D J, Burgess R R, Richardson J P and Gross C A (1992) Termination efficiency at Rho-dependent terminators depends on kinetic coupling between RNA polymerase and Rho Proc. Natl. Acad. Sci. U.S.A 89:1453–57. Jin D J, Walter WA and Gross CA (1988) Characterization of the termination phenotypes of rifampicin resistant mutants J Mol Biol 202:245–53. Kalyani B S, Muteeb G, Qayyum M Z and Sen R (2011) Interaction with the nascent RNA is a prerequisite for the recruitment of Rho to the transcription elongation complex in vitro J Mol Biol 413:548–60. Kassavetis G A and Chamberlin M J (1981) Pausing and termination of transcription within the early region of bacteriophage T7 DNA in vitro J Biol Chem 256:2777–86. Knowlton J R, Bubunenko M, Andrykovitch M, Guo W, Routzahn K M, Waugh D S, Court D L and Ji X (2003) A spring-loaded state of NusG in its functional cycle is suggested by X-Ray crystallography and supported by site-directed mutants Biochemistry 42:2275–81. Koslover D J, Fazal F M, Mooney R A, Landick R and Block S M (2012) Binding and translocation of termination factor Rho studied at the single-molecule level J Mol Biol 423:664–76. Li J, Horwitz R, McCracken S and Greenblatt J (1992) NusG, a new Escherichia coli elongation factor involved in transcriptional antitermination by the N protein of phage lambda J Biol Chem 267:6012–19. Li J, Mason S W and Greenblatt J (1993) Elongation factor NusG interacts with termination factor Rho to regulate termination and antitermination of transcription Gene Dev 7:161–72. Mah T F, Kuznedelov K, Mushegian A, Severinov K and Greenblatt J (2000) The α subunit of E. coli RNA polymerase activates RNA binding by NusAGene Dev 14:2664–75. Mah T F, Li J, Davidson A R and Greenblatt J (1999) Functional importance of regions in Escherichia coli elongation factor NusA that interact with RNA polymerase, the bacteriophage lambda N protein and RNA Mol Microbiol 34:523–37. Mitra P, Ghosh G, Hafeezunnisa and Sen R (2017) Rho protein: roles and mechanisms Annu Rev Microbiol 71:687-709. Mooney R A, Artsimovitch I and Landick R (1998) Information processing by RNA polymerase: recognition of regulatory signals during RNA chain elongation J bacteriol 180:3265–75. Mooney R A, Davis S E, Peters J M, Rowland J L, Ansari A Z and Landick R (2009a) Regulator trafficking on bacterial transcription units in vivo Mol Cell 33:97–108. Mooney R A, Schweimer K, Rösch P, Gottesman M and Landick R (2009b) Two structurally independent domains of E. coliNusG create regulatory plasticity via distinct interactions with RNA polymerase and regulators J MolBiol 391:341–58. Nehrke K W, Zalatan F and Platt T (1993) NusG alters Rho-dependent termination of transcription in vitro independent of kinetic coupling Gene Expression 3:119–33. Nudler E and Gottesman M E (2002) Transcription termination and anti-termination in E. coliGenes Cells 7:755-68. Park H G, Zhang X, Moon H S, Zwiefka A, Cox K, Gaskell S J, Widger W R and Kohn H (1995) Bicyclomycin and dihydrobicyclomycin inhibition kinetics of Escherichia coli Rho-dependent transcription termination factor ATPase activity Arch Biochem Biophys 323:447–54. Park J S and Roberts J W (2006) Role of DNA bubble rewinding in enzymatic transcription termination Proc. Natl. Acad. Sci. U.S.A 103:4870–75. Peters J M, Mooney R A, Grass J A, Jessen E D, Tran F and Landick R (2012) Rho and NusG Suppress Pervasive Antisense Transcription in Escherichia coli Gene Dev 26:2621–33. Peters J M, Vangeloff A D and Landick R (2011) Bacterial transcription terminators: The RNA 3’- end chronicles J MolBio 412:793–813. Qayyum M Z, Dey D, and Sen R (2016) Transcription elongation factor NusA is a general antagonist of Rho-dependent termination in Escherichia coli J Biol Chem 291:8090–8108. Rabhi M, Espéli O, Schwartz A, Cayrol B, Rahmouni AR, Arluison V and Boudvillain M (2011) The Sm-like RNA chaperone Hfq mediates transcription antitermination at Rho-dependent terminators EMBO J 30:2805–16. Richardson J P (2002) Rho-dependent termination and ATPases in transcript termination Biochim Biophys Acta 1577:251–60. Roberts J W (1969) Termination Factor for RNA Synthesis Nature 224:1168–74. Schwartz A, Margeat E, Rahmouni A R and Boudvillain M (2007a) Transcription termination factor Rho can displace streptavidin from biotinylated RNA J Biol Chem 282:31469–76. Schwartz A, Rabhi M, Jacquinot F, Margeat E, Rahmouni AR and Boudvillain M (2009) A stepwise 2'-hydroxyl activation mechanism for the bacterial transcription termination factor Rho helicase Nat Struct Mol Biol 16:1309-16. Schwartz A, Walmacq C, Rahmouni AR and Boudvillain M (2007b) Noncanonical interactions in the management of RNA structural blocks by the transcription termination Rho helicase Biochemistry 46:9366–79. Schweimer K, Prasch S, Sujatha P S, Bubunenko M, Gottesman M E and Rösch P (2011) NusA interaction with the α subunit of E. coli RNA polymerase is via the UP element site and releases autoinhibition Structure 19:945–54. Sen R, Qayyum M Z, Muteeb G, Chalissery J and Vishalini V (2014) Nus factors of Escherichia coli EcoSal Plus 6:1–16. Shashni R, Mishra S, Kalayani B S and Sen R (2012) Suppression of in vivo Rho-dependent transcription termination defects: evidence for kinetically controlled steps Microbiology 158:1468–81. Shashni R, Qayyum M Z, Vishalini V, DeyDebasish and Sen R (2014) Redundancy of primary RNA-binding functions of the bacterial transcription terminator Rho Nucleic Acids Res 42:9677–90. Shivalika S and Gowrishankar J (2011) Compromised factor-dependent transcription termination in a NusA mutant of Escherichia coli: spectrum of termination efficiencies generated by perturbations of Rho, NusG, NusA and H-NS family proteins J Bacteriol 193:3842–50. Skordalakes E and Berger J M (2003) Structure of the Rho transcription terminator: mechanism of mRNA recognition and helicase loading Cell 114:135–46. Steiner T, Kaiser J T, Marinkoviç S, Huber R and Wahl MC (2002) Crystal structures of transcription factor NusG in light of its nucleic acid and protein-binding activities EMBO J 21:4641–53. Steinmetz E J and Platt T (1994) Evidence supporting a tethered tracking model for helicase activity of Escherichia coli Rho factor Proc. Natl. Acad. Sci. U.S.A 91:1401–5. Sullivan S L and Gottesman M E (1992) Requirement for E. coli NusG protein in factor-dependent transcription termination Cell 68:989–94. Thomsen N D and Berger J M (2009) Running in reverse: the structural basis for translocation polarity in hexameric helicases Cell 139:523–34. Toulokhonov I, Artsimovitch I and Landick R (2001) Allosteric control of RNA polymerase by a site that contacts nascent RNA hairpins Science 292:730–33. 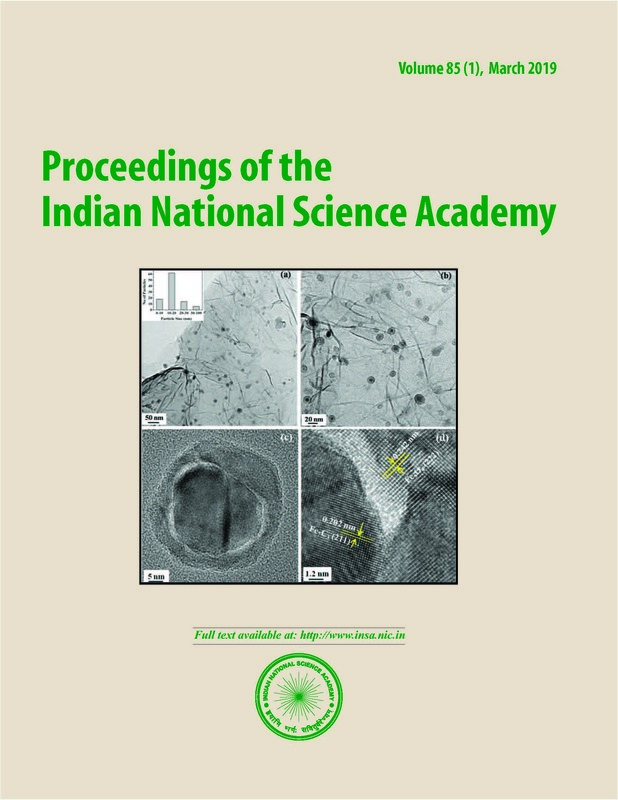 Valabhoju V, Agrawal S and Sen R (2016) Molecular basis of NusG-mediated regulation of Rho-dependent transcription termination in bacteria J BiolChem 291:22386–403. von Hippel P H and Yager T D (1992) The elongation-termination decision in transcription Science 255:809–12. Wilson K S and von Hippel P H (1994) Stability of Escherichia coli transcription complexes near an intrinsic terminator J Mol Biol 244:36–51. Copyright (c) 2019 Ranjan Sen, Passong Immanuel R Chhakchhuak, M.Sc., Ajay Khatri, M.Sc.